Need a website for your company or want to start your own blog then just send us a message. Color Templates offers professionals, affordable website design and development services. Whether are looking to build your first website or make enhancements to your current website, Color Templates can help your business succeed online. We can design (or redesign) every aspect of your website, from graphic design & copywriting to complete developement. 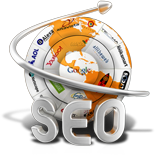 We can also host your website and perform a wide range of Search Engine Optimization & Internet Marketing Services that will help you succeed online. We work in any web related field from XHTML to any one. We also make CMS (Joomla, Drupal, Wordpress) websites. A Color Templates, we implement ethical and effective Search Engine Optimization strategies for your website so that it can enjoy top page ranking in Google and other major search engines naturally building online presence for the site through social media as well. Color Templates Website & Software Solution offers you customized solutions after understanding your business requirements. We use the latest software development platforms and tools to achieve this; which is complemented with the latest project management techniques and software engineering practices. We Offers Quick Domain Registration and Hosting for everyone at affordable price.